I really DID have good intentions of working on Lizzie when I finished the "Take 5" teacups & fancy dessert top in August 2010. But when I was putting the top away, I rediscovered a bundle of hand-pieced blocks and component parts leftover from a previous project. I knew those piece parts would nag me, so I decided to put them into a top. 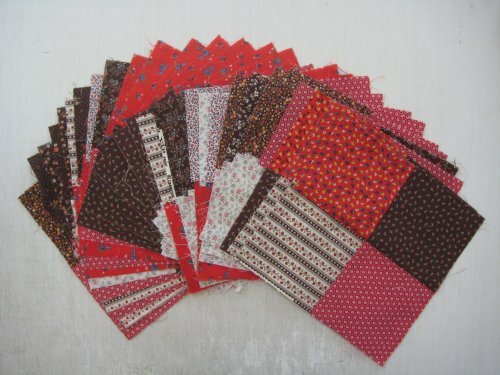 The inspiration top (at right) was from Jennifer Chiaverini's novel, "The Runaway Quilt". The blurb for the book says, "Quilts by JenniferChiaverini. UndergroundRailroad. A strippy scrap quilt Sylvia discovers in her attic in The Runaway Quilt. 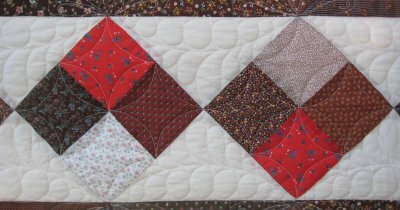 The pattern for “Underground Railroad” appears in my first pattern book, Elm Creek Quilts: Quilt Projects Inspired by the Elm Creek Quilts Novels (C&T Publishing, 2002)." 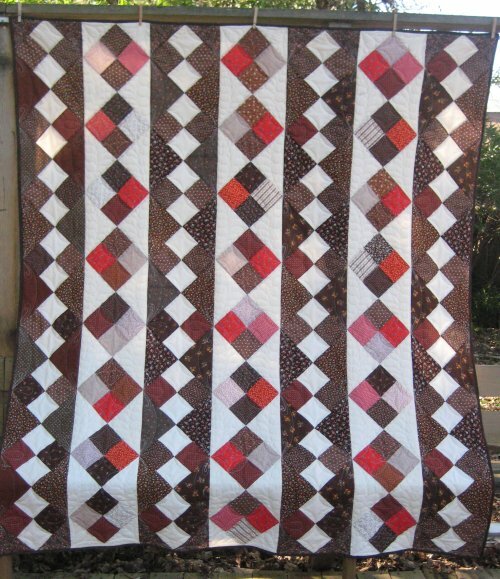 As you can see, the quilt is simply columns of 4-patches set on-point. 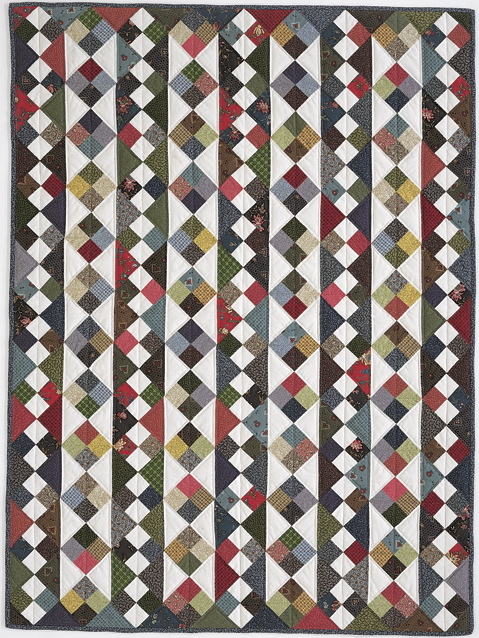 The columns with light colored setting triangles have scrappy 4-patches. The columns with dark colored setting triangles have 4-patches with two of the patches being white (or light colored) that form a column of light diamonds. 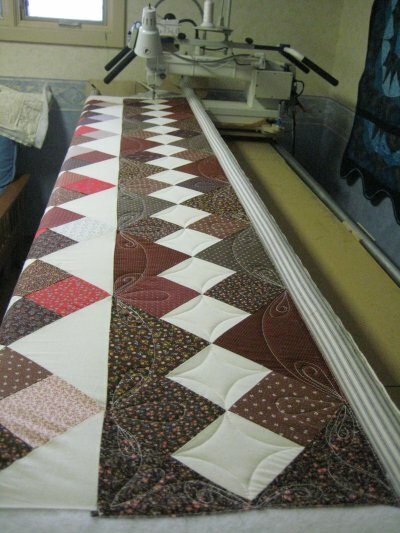 What is discouraging is that when this column quilt top is done, I will STILL have lots of 4-patch blocks leftover! note: the following description was written 2 years after the the text above, so details are a little vague. 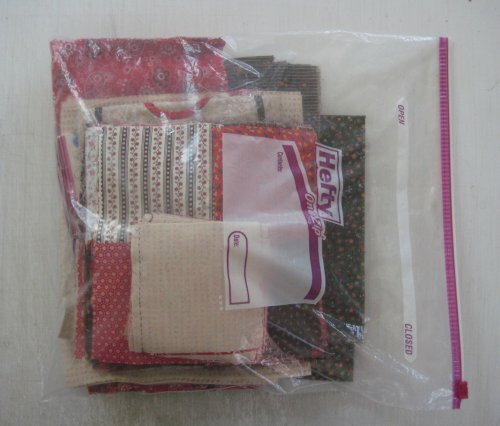 The 4-patches were quilted with a continuous curve. I'm sure there are many other quilting designs that can be used with patches .. and one of these days I'm actually going to use them! But for this quilt, I went with my old standby. It's an easy design to do and I like the look. The setting triangles of the columns were a different story. I really had NO idea of what to do. Unfortunately, it shows. 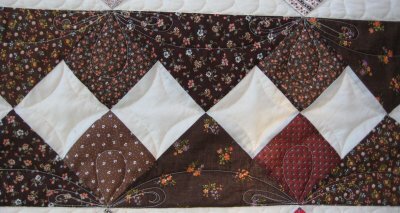 I must say that the quilting on this Underground Railroad is quite uninspired. Viewed from a distance ... or at least, not close-up ... I do like the look of the quilt. Sad to say, the quilting choices could have been much, much better.